Hondurans take their fútbol seriously. Very seriously. As you might be aware, we’re in the midst of World Cup qualifying matches at the moment and things are getting pretty tense. Last night, Honduras lost against Los Estados Unidos. Their next game won’t be until September, when they will face Mexico. My football knowledge is pretty shaky, but my understanding is they’ll need to win or at least tie the rest of their matches keep their World Cup hopes alive. The first World Cup qualifier game I watched here (on the big screen) was Honduras v Mexico. I had only just arrived in the country so felt a little torn about who to cheer for. 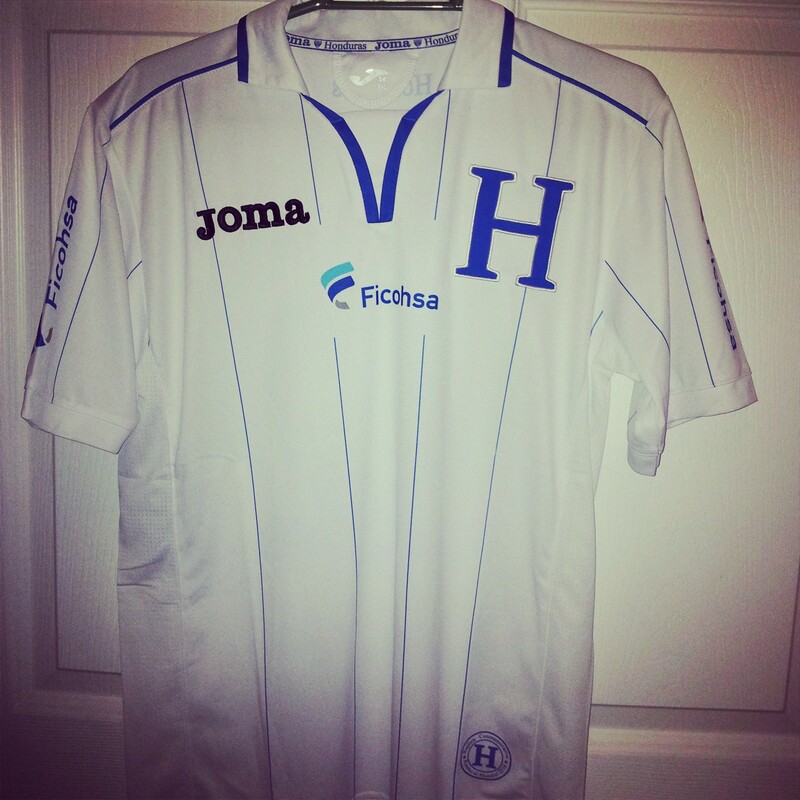 My host-mum solved my dilemma by gifting me a Selección Nacional de Honduras t-shirt. The end result was a 2-2 draw, reflecting my divided loyalties nicely. Next we played and lost against Panama followed by a loss to Costa Rica. And last week it was do or die against Jamaica. This game was to be played in el Estadio Nacional here in Tegus. A friend invited me to watch the match with him and I quickly agreed to go. The expression on my host-mum’s face when I casually mentioned I was going to see the match live was priceless. Unbeknownst to me the stadium doesn’t have the best reputation. In fact, it’s considered quite insecure and on occasions downright dangerous. Our housekeeper told me yesterday that if it had been up to her she would have forbidden me to go! My host-mum’s concerns spooked me a little but my friend assured me there’d be a large police presence (which to me wasn’t necessarily reassuring) and advised me we had tickets in one of the safer areas. Honduras isn’t necessarily the best country to implement a YOLO attitude to life, but with tickets already purchased and my curiosity piqued (just how bad could it be?) I decided I’d probably regret not going more than going.